Ancient Thai capital 'swamped' Jump to media player Residents in Thailand's ancient capital of Ayutthaya are still struggling to cope with the impact of flooding, which has crippled a third of the country's provinces. 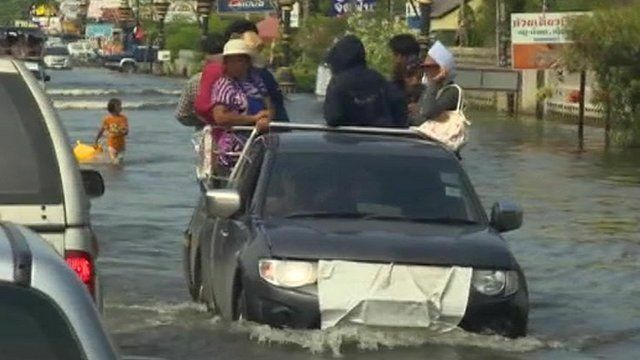 Bangkok districts on flood alert Jump to media player Residents of seven districts of Bangkok have been told to move valuables to higher ground and be ready to evacuate, as flooding which has swamped northern Thailand approaches the capital. The authorities in Thailand are struggling to contain the impact of the country's worst flooding in decades. 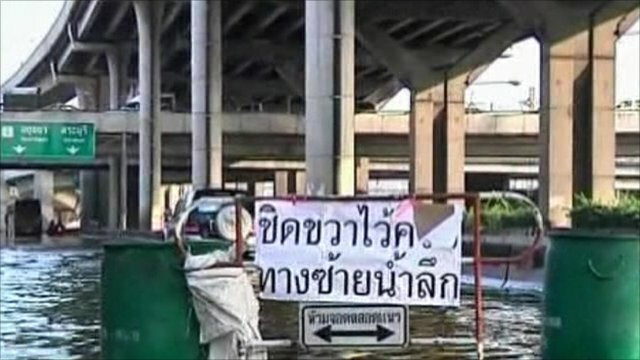 The army and volunteers are working to shore up flood defences in Bangkok but there are fears barriers will not hold. More than three hundred people have lost their lives and a third of Thailand's provinces are now under water. Rachel Harvey reports from the ancient capital of Ayutthaya, a World Heritage site that has dozens of ancient temples.